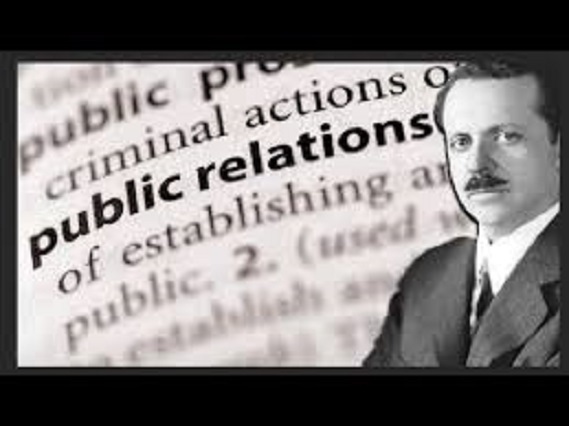 The seventh chapter of Edward Bernays’s Propaganda is called ‘Women’s Activities And Propaganda’. Bernays is comfortable stating, in 1928, that women “have achieved a legal equality with men”. This doesn’t mean that their activities are the same – it simply means that their vote is of equal worth. This makes them particularly important to understand from a propaganda perspective. He points out that women don’t have to occupy high positions of political power in order to have a strong political influence. It doesn’t matter that women are not taken as seriously as men in positions of high leadership, because they lead women’s organisations with great numbers of members, and the women leading them have a heavy influence on how their members vote. Bernays considers the women’s suffrage campaign (which had won victory in America shortly before he wrote this book) to be a good example of the power of propaganda to bring societal changes. He credits the use of propaganda by women’s organisations for increased social welfare and alcohol prohibition. Many female propagandists were trained either by the suffragette movement itself or by the Government during World War One. These clubs can hold events that draw large numbers of people, so if a popular enough event can be held, it will result in great numbers of people being influenced. Bernays is especially taken with the idea of such clubs sponsoring art or literary competitions. Such events can generate enormous amounts of goodwill. Bernays is optimistic that an increased voice for women can help mould the world into a better place for all of us. He believes that the entrance of women into politics will allow them to focus on areas that men had previously neglected or were not interested in. This is primarily achieved by the introduction of new ideas or methods.